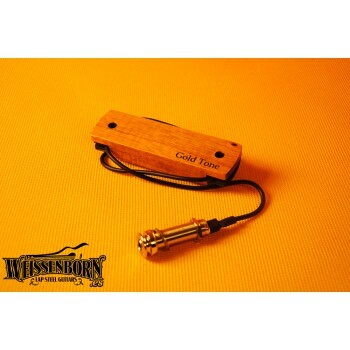 A nice magnetic pickup with great sound and perfect look to fit in your guitar´s soundhole. Our price includes installation in the guitar you choose from us. If you want to purchase it for your own guitar or make yourself the instalation, write us a mail to remove the installation cost from you price.